It has been officially 7 days since I colored my own hair blonde. And guess what? I am truly loving it. I don't really like attention, but for some reason I am getting a lot of it since I went blonde. Perhaps the saying "blondes have more fun" really can apply, since it is a proven fact that most men prefer fun women. I am fun as a brunette, but I guess my personality must shine more so since becoming blonde. Platinum blonde, that is. I feel more compelled to style my hair on a daily basis now since becoming blonde also. Either way, it has been a week and I am truly loving my blonde hair. It's a change, a dramatic change at that, but I really like it. I'm also noticing my hair doesn't seem to be damaged and feels like it has more texture to it. The only thing I don't like is the fact that my hair grows fast and I feel like I have to touch up my roots once every two weeks. For today's look, I decided to really dip into quite a few new hair products. Right now I am really loving the Oscar Blandi At-Home Salon Glaze. It really does wonders for my hair. Probably the most used styling product I use. A lot of you have asked me what shampoo I use since becoming a blonde. I have tried quite a few, but right now I really love the Schwartzkopf Professional Bonacure silver shampoo. It is literally the best one I've used for blonde hair. If they were to come out with another one, I would not hesitate to use it. In terms of conditioning, I condition my hair using Matrix Biolage Oil Conditioner has it tends to bring the moisture back into my locks and treats my tresses amazingly. I haven't tried as many as I could be, as I have been sticking to only a few. So far; however, this one is my favorite. I'm currently living in a very old Victorian house in Butte, Montana, but will be moving soon so I will have more space. Which means more beauty products to try and hoard. I am on the lookout for a good curling iron. I've used so many different types, but haven't touched as many as I should or could as I would go to a stylist and get my hair professionally styled. If you have any you want to recommend please do so. I hope you are having an amazing day. It is beautiful here. I tried my first vegan cupcake a few years ago at a bakery called Sprinkles. There are locations all over the United States, but it was the one in Chicago where I had the opportunity to eat one. It was delicious. First and foremost, you want to blend the blueberries, raspberries, and strawberries together to kind of make a thick puree, almost like a pasty texture. As you continue, you want preheat the over for 350 degrees F. You want to combine everything into your mixer. Blend generously. Don't worry about overblending. The actual batter isn't going to be extremely thick. Once you have mixed all of your ingredients, you want to begin filling the cupcake cups 1/2 to 3/4 way with the batter you just produced. Depending on the type of cupcake pan you use, if you notice that there isn't much space in between the spaces, you want to only fill them 1/2 way. If you do notice some space, you can fill them 3/4 way. Bake your cupcakes for 19-23 minutes. Let them set for 5 minutes before applying the frosting. Add everything into a mixer (I prefer to use my Kitchenaid when I make frosting) and simply blend together. 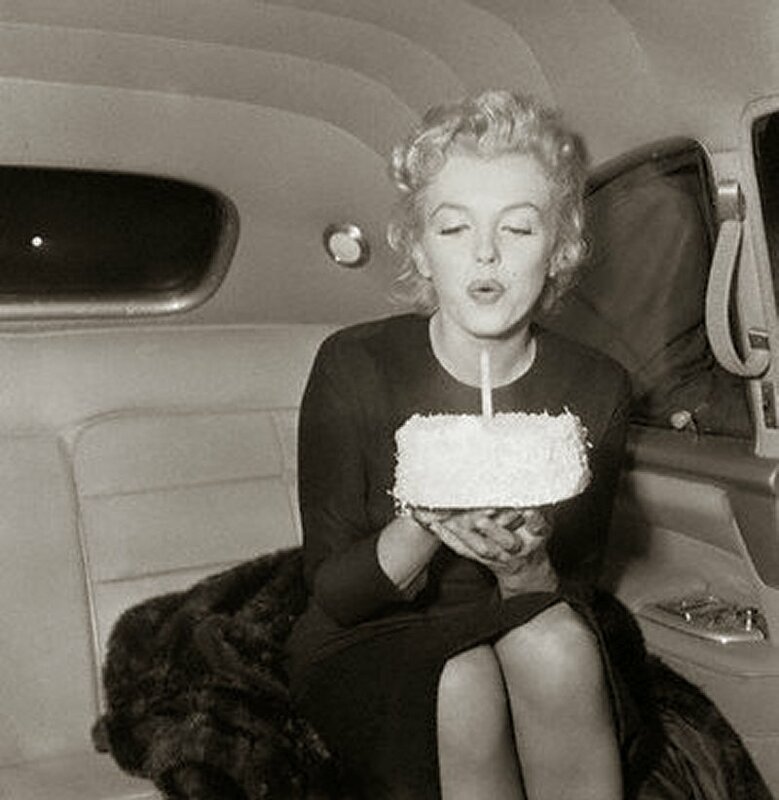 Happy Birthday to the beautiful Marilyn Monroe. You will be forever missed. You may be gone, but your legacy remains forever.